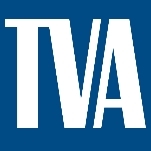 Originally founded to stem flood damage and promote agriculture, the Tennessee Valley Authority (TVA) is a unique government agency in that it is structured like a corporation, but has the power of the federal government. It is responsible for supplying power to cities and communities along the Tennessee River (approximately 80,000 square miles in the southeastern part of the country). It operates fossil fuel, nuclear, and hydropower plants, and helps to maintain the nation’s fifth-largest river system. President Franklin Roosevelt founded the TVA in 1933, and on May 18 Congress passed the TVA Act (pdf). Roosevelt envisioned the TVA to operate like a corporation, or private enterprise, while retaining the power of the federal government. The measure came about because of the troubled condition of the Tennessee Valley during the Great Depression. Too much farming had left the soil and timber depleted, and crop yields continued to fall. During the 1930s, the TVA tried to reverse these trends by teaching farmers how to improve crop yields, replant, control fires, and improve wildlife habitat. The TVA also increased the production and distribution of electricity, which farmers had access to as a result of dams built by the authority not only to generate electricity, but to help control flooding and improve navigation. During World War II, the electricity from the dams helped aluminum plants build bombs and airplanes for the U.S. war effort in Europe and Asia. By 1942, 12 hydroelectric plants, along with a steam plant, were under construction. By the end of the war, the TVA had made the 65-mile Tennessee River navigable, and become the nation’s largest provider of electricity. Although the demand for electricity climbed, the TVA was not allowed to build coal plants. In 1959, Congress passed legislation that allowed the TVA power system to finance itself through the sale of power to three customer groups. Between 1954 and 1962, the TVA was used as an example of “big government” waste in speeches delivered by Ronald Reagan. The speeches proved embarrassing for his employer, General Electric, one of the TVA’s top contractors. Eventually, GE fired Reagan. During the 1960s, the TVA grew tremendously. Rates for electricity were relatively cheap, and the TVA began to build nuclear plants to keep power rates low. But during the 1970s, an oil embargo made fuel prices rise dramatically. From the early 1970s to the early 1980s, electricity costs increased fivefold. In response, the TVA canceled several nuclear plants it had been developing. Also a problem for the TVA in the 1970s was the snail darter case, in which the agency was prohibited by the Supreme Court from completing the Tellico Dam because it would have eliminated the tiny fish’s only known habitat. For the rest of the 1980s and 1990s, the TVA restructured its operations, cutting operating costs by $800 million per year and cutting its workforce by more than half. Nuclear plants were mothballed, and the capacity of existing plants was increased. The agency also focused on teaching consumers to use insulation and other conservation measures in their own homes to save energy. In 1998, the TVA released a clean-air strategy to reduce pollution. In 2002, the TVA decided to restart the Brown’s Ferry Nuclear Plant Unit 1, in Athens, Alabama. Brown’s Ferry had become a cautionary tale for nuclear power, when, on March 22, 1975, a candle used by two electricians set some foam rubber sealant aflame. The resulting fire disabled the majority of the safety systems at the plant, including the energy core cooling system on the Unit 1 nuclear reactor. The plant almost melted down completely, and the incident underscored the vulnerability of nuclear plants to human errors. Units 2 and 3 were restarted in 1991 and 1995, respectively, and Unit 1 resumed operation on June 2, 2007. The Watts Bar Nuclear Plant’s Unit 2 is currently under construction and, due to a year-long startup delay, has a target completion date of 2013. Since 2000, the TVA has been financing all of its programs, and federal funding of its Tennessee River system was discontinued. Also since that year, it has added to its power mix energy from three renewable sources—sun, wind, and methane gas. In 2005, Congressional legislation altered TVA’s corporate structure, changing its three-member full-time board to a nine-member part-time board. The law also created the position of chief executive officer, which is filled by board appointment. Disaster struck in East Tennessee on December 22, 2008, when the Kingston Fossil Plant storage pond dike failed, releasing more than a billion gallons of coal ash that covered about 300 acres. Described by the Kentucky Sierra Club as the “worst environmental disaster since Chernobyl,” the event poisoned the lakes, rivers, and drinking water used by millions of people. The Tuscaloosa News wrote that the pollutants were “spreading through our rivers like cancer flows through the blood stream.” Recovery and restoration of the spill site is ongoing, with final cleanup costs expected to reach $1.2 billion. In 2009, TVA signed 20-year power purchase agreements with two companies—Maryland’s CVP Renewable Energy and Chicago-based Invenergy Wind—for electricity generated by wind farms. In August 2011, 37 years after its construction first began, the TVA board approved completion of what will be the largest reactor in the agency’s fleet—a 1,260-megawatt unit at TVA’s Bellefonte Nuclear Plant in northeastern Alabama. It is scheduled to begin commercial operation by 2020 and is expected to provide electricity to 750,000 homes. The TVA is currently carrying out extensive modernization and automation of its 29 hydro plants, and working with power distributors to reduce demand through energy-efficiency programs. The agency’s goal is to reduce the growth in peak power demand by up to 1,400 megawatts in 2012. The Tennessee Valley Authority (TVA) operates as a private enterprise or corporation. However, it enjoys the power of the U.S. government behind its efforts. It is the largest public power company in the country and is responsible for also supporting the river system and promoting development in the area. The TVA oversees and operates a transmission system that utilizes fossil fuel, nuclear and hydropower plants, and produces some of its energy from renewable sources. The TVA also maintains a large river system that seeks to reduce flood damage along the river, help maintain navigation, and protect water quality. Its environmental system addresses concerns related to air quality, land management, water quality, and environmental policies. The TVA supplies electrical power to 158 local power distributors, which deliver the power to homes and businesses in the area. The TVA also sells power directly to 58 large industries and federal agencies. As one of the largest electricity producers in the U.S., the TVA oversees a power grid that includes three nuclear power plants, 29 hydroelectric dams, 11 coal-burning plants, three gas-fueled combined cycle plants, nine combustion turbine plants and one pumped storage plant, as well as renewable energy produced from sun, wind, and methane gas. Altogether, its power-service area covers 80,000 square miles in the southeastern United States, including almost all of Tennessee and parts of Mississippi, Kentucky, Alabama, Georgia, North Carolina, and Virginia. The TVA is led by a nine-member board of directors, which sets policy and strategy. The members are nominated by the President and confirmed by the U.S. Senate to serve five-year terms. Some of TVA’s offices include Community Relations, which handles philanthropic, volunteer and public activities; Office of the Inspector General, which investigates allegations of fraud, waste, and abuse; Energy Management Committee, which plans and coordinates regulatory reviews, performance analysis and reporting, oversight, and sustainable design; and the TVA Police, which is responsible for protecting TVA properties and employees, as well as users of TVA recreation facilities. The TVA spent nearly $4.2 billion on 1,131 contractors between 1998 and 2008. According to USASpending.gov, the TVA paid for a variety of services, from engines, turbines and components to fuels, lubricants, oils, and waxes. Usec, Inc., the agency’s largest contractor, is a global energy company supplying enriched uranium to commercial nuclear power plants. They are the only uranium enrichment facility in the United States and supply more than half of the U.S. market, and more than a quarter of the world market. Peabody Energy Corporation, the TVA’s second-largest contractor, is the world’s largest private-sector coal company, supplying more than 10% of all U.S. electricity generation and 2% of worldwide electricity. The TVA reports that in FY 2010 it spent $770 million on contractor services. The top five types of services used during that year were engineering, craft labor, staff augmentation, consulting, and nuclear engineering. 6. Jacobs Engineering Group Inc.
7. Worley Parsons Group Inc.
9. MACTEC Engineering and Consulting Inc.
10. McKinsey and Company Inc. Unless a federal court rules otherwise, zombies are persona non grata at meetings of the Tennessee Valley Authority (TVA). During a debate in 2011 over the restarting of a dormant nuclear power plant, protesters dressed as the undead showed up at a TVA board meeting. The costumes were intended to emphasize the point that the “corpse of a power plant” should not be revived. The plant in question, the Bellefonte Nuclear Plant in North Alabama, had been permitted 38 years ago, but work on it came to a halt in 1988. But with the TVA looking to reduce its reliance on coal-fired power plants, advocates of nuclear power pushed for finishing a reactor at Bellefonte. Following the appearance of the zombie-clad demonstrators, the TVA board decided to ban anyone from showing up in costume at future meetings. And despite the protests, the board voted in favor of resurrecting the plant. The no-costume rule prompted the zombie opponents to file a lawsuit in federal court in 2012, contending the ban violated the protesters’ free-speech rights. Subcontractors on a Tennessee Valley Authority project were caught lying about inspections done in 2010 related to the construction of a new nuclear reactor, resulting in criminal prosecutions. Matthew David Correll, under pressure to “hurry up and get it done,” was charged with making false statements about measuring cables that were intended to supply energy to safety systems that were to be built at the Watts Bar Nuclear Facility in Tennessee. Correll was sentenced to probation for two years by a federal judge. Correll’s supervisor on the job, John Delk, was also sentenced to serve two years of probation, plus 100 hours of community service, for falsifying work records at Watts Bar. Delk admitted to fraudulently and knowingly signing a work closure form certifying that work had been completed when, in fact, the micrometer measurements were not completed and were forged. The equipment in question served the containment area of the nuclear plant. On December 22, 2008, a wall holding back 80 acres of coal plant sludge broke in Central Tennessee and spilled more than a billion gallons of waste. Fifteen homes were damaged and all the residents were evacuated when three homes were ruled uninhabitable. TVA spokesperson Gil Francis said that more than 400 acres of land had been coated with the sludge. The area affected was 100 times larger than that of the 1989 Exxon Valdez disaster. A few days later, the Environmental Protections Agency reported that high levels of arsenic and heavy metals had been found in the sludge, slightly above safe drinking water standards. In 2009, the TVA’s Inspector General claimed that the agency failed to heed 20 years of warnings that could have prevented the spill, that it “circled the wagons” to protect itself and its image, and that it improperly influenced an investigation into the spill in order to shield itself from the hundreds of lawsuits being filed by individuals and environmental groups. In January 2011, the agency won a court ruling that brought a halt to a class-action lawsuit. Cost of the cleanup is expected to reach $1.2 billion. The spill revived controversy about the regulation of storage and disposal of waste coal. Environmentalists hope the discussion will lead to reexamination of coal as a clean energy source. TVA executives, many of whom had received more than a million dollars in bonuses for FY 2008, were told not to expect any bonuses the following year. In May 2008, a report issued by the Government Accountability Office found that the TVA is vulnerable to cyber attacks that could cause blackouts and other problems. The report found that computer firewalls could be bypassed or were inadequately configured, servers and workstations lacked virus protection, and physical security was lacking around key locations. The GAO recommended 73 steps to correct the problems, and the TVA said it would take steps to correct the issues. In the aftermath of the March 2011 Fukushima, Japan nuclear disaster, the TVA promised to bolster its cyber-security, as well as upgrade its facilities (three of its nuclear reactors have the same design as the Japanese reactors). The agency has plans to spend approximately $20 million to $40 million in cyber security updates through 2013.
how long do tva employees get for lunch? one lives in my neighborhood and he takes 1 1/2 to 2 hours every day. our tax payer money hard at work! My father owns propery that backs up to the TVA and I understand he gave you access rights on said property. He is deceased and my sister and I want to sell the property and wondered if TVA was interested in purchasing this property located on Cooper Rd.in Monroe County. To whom it may concern. Sorry! I do not have a comment but rather a question : A few months ago, I purchased a Mobile Home Park, roughly mid between Watts Bar and Spring City. The Park is 4 acre and is located by the lake. I like to invite TVA Contractors, since there are a number of trailer and RV spots as well as a number of mobile Homes. Do the TVA Contractors have a club or organisation where I can advertise spots for rent ? I prefure TVA Contractors only ! Please drop me a line, and let me know. Thank you very much. Sincerely Ivar Syrstad. Annual Budget: $37.7 billion (estimated FY 2013 operating expenses) + $2.5 billion (FY 2013 capital projects) TVA receives no congressional appropriations; it funds its own program from $10 billion in annual sales earnings. TVA programs in 2013 are expected to be funded from power revenues and receipts of $11,662 million. TVA debt is estimated to increase by $333 million in 2013. Bill Johnson has been president and chief executive officer of the Tennessee Valley Authority (TVA) since November 2012. Founded in 1933 as part of President Franklin Roosevelt's New Deal to bring electricity to the impoverished Tennessee Valley region, TVA is the nation’s largest public utility. Considered a radical intervention by the government into the energy industry at the time, TVA has since earned such strong popularity that President Obama's recently announced plan to privatize it provoked sharp criticism from southern Republicans, who are usually eager supporters of privatization. Born January 9, 1954, William Dean Johnson attended Pennsylvania State University, where he played football as an offensive lineman, but did not earn a degree. After relocating to Durham, North Carolina, with his wife, who was serving her medical residency at Duke University Hospital, he earned a B.A. in History at Duke University and taught school for a year-and-a-half in Durham before realizing the career was not a match. Almost on a whim, Johnson decided to attend law school, earning a J.D. at the University of North Carolina at Chapel Hill in 1982. After law school. Johnson served as a law clerk to Judge J. Dickson Phillips, Jr. of the 4th U.S. Circuit Court of Appeals. Entering private practice, Johnson rose to partner at the Raleigh office of Hunton & Williams, where he specialized in representing utility companies. He joined Carolina Power & Light, which was later renamed Progress Energy, in 1992, starting in the legal department and eventually working as group president for Energy Delivery, president and chief executive officer for subsidiary Progress Energy Service Company, and general counsel for Progress Energy Inc.
Johnson became president in 2005, and worked as chairman and CEO from 2007 to 2012, when the company was bought by Duke Energy. Although the Duke-Progress Energy merger agreement named Johnson CEO of the new combined company, the new corporate board, dominated by Duke Energy members, fired him less than an hour after the merger closed, allowing him to walk away with a $44 million severance payment for one hour's work. He had been paid $9.5 million by Progress in 2011. Neither consistently a Democrat or a Republican, Johnson has made political contributions to both sides over the years, including donations of $4,000 to Sen. Richard Burr (R-North Carolina) in 2009, $1,250 to Sen. Kay Hagan (D-North Carolina) in 2008, $2,750 to Rep. Brad Miller (D-North Carolina) between 2001 and 2006, and $1,000 to President George W. Bush in 2003. By far his largest donations, however, have been to the Nuclear Energy Institute, a lobbying group for utilities that own nuclear plants, to which he has donated $23,500 over the years. A native of Sand Mountain, Alabama, Tom D. Kilgore was named president and chief executive officer of the Tennessee Valley Authority in October 2006, having served as acting CEO since March 2006. He heads TVA’s executive committee and chairs its business council. Kilgore earned a bachelor’s degree in mechanical engineering from the University of Alabama and a master’s degree in industrial engineering from Texas A&M University. During college, he worked as an intern with TVA. He served in the US Army from 1970 to 1972. Kilgore worked for Arkansas Power and Light Company and the Department of Defense at Pine Bluff Arsenal in Arkansas before joining Oglethorpe Power Corporation in Georgia in 1984. He held numerous management positions, becoming president and chief executive officer in 1991 and serving in that capacity until 1998, when he left to join Carolina Power & Light as director of fossil fuel plants and later as senior vice president of power operations. Kilgore came to TVA in March 2005 ater seven years with Progress Ventures (a subsidiary of Progress Energy), where he served as president and chief executive officer. The company has a diverse portfolio of energy-related businesses in fuel extraction, transportation, energy marketing, energy trading, and other areas. 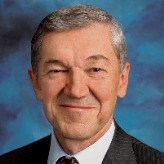 Kilgore serves on the board of directors of the American Museum of Science and Energy Foundation and has served on the boards of directors of the Georgia Chamber of Commerce, the Electric Power Research Institute, and the United States Council for Energy Awareness. He has also been a member of the industry advisory board of the American Society of Mechanical Engineers. In 2002, he was inducted into the Alabama Engineering Hall of Fame. As president and CEO of TVA, Kilgore earned $2.2 million in the year endeing September 30, 2008.